More limited edition collector fragrance bottles, with the usual disclaimers: in most of these cases, the juice is unchanged, just the bottle is “special” (or not, as the case may be), and some of these may not be available in the US. Today’s post includes special edition bottles from Calvin Klein, Salvatore Ferragamo, Jo Malone, Loewe and Ralph Lauren. 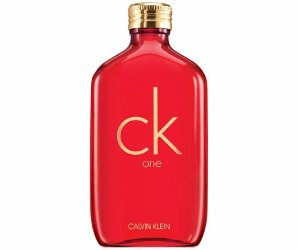 CK One joins in on the red: "Celebrate Chinese New Year with our festive CK ONE collector’s edition bottle." In 100 ml Eau de Toilette at King Power Duty Free. Not to miss out, Ferragamo Signorina "dresses in red to celebrate the Chinese New Year". At Kix Duty Free in Japan, in 50 ml Eau de Parfum. 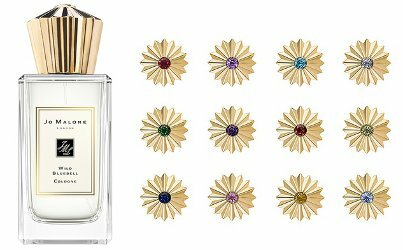 Jo Malone's new limited edition bronze + cubic zirconia birthstone caps (yep, just the caps!) were designed in collaboration with Karen Elson and made by British jeweller Duffy and will fit any 50 or 100 ml Jo Malone bottle. $330 each. Loewe's masculine Essencia in black: "Its exclusive bottle exhibits an ash tree cap covered in gold leaves by the most thorough Spanish craftsmen, making every product a unique creation." €130 for 100 ml Eau de Parfum. 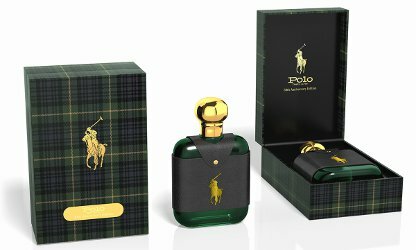 Ralph Lauren celebrated the 50th anniversary of the Polo brand last year with plaid: "The 50th Anniversary Limited Edition Polo fragrance honors the brand's roots with its classic green bottle, brass top, and leather pouch presented in a glossy tartan box. This iconic men's scent captures the rich heritage of the thoroughbred sporting tradition with its signature bold, masculine accords of pine, leather, and tobacco absolute." $100 at Ralph Lauren. If this Polo smells like it did when thr fragrance was first released, I’d get this Ltd edition. Wish they’d rerelease Lauren and Safari. Another fan of Lauren and Safari. I’m officially over red bottles. 330 for a bottle cap???? I know, I just about spit out my coffee laughing. A sucker born every minute is all I’ll say. I did a triple take. Wow. There must be someone in the world with waaaayyyy different priorities than mine. It is emblematic of the way the industry works now, the only difference between this and a zillion other luxury brands is they’ve given you some choice — you can skip the stupidest parts. That said, the whole industry relies on suckers — (almost) all fragrance is ludicrously overpriced. That said, in 2 million years I would not spend even $33 on a bottle cap with a rhinestone in it. I would spend $3.30 if they did a kitsch version with a unicorn head or something. Yes, I thought the reusable bit was a good idea, until I saw the price. For that price, I want a real emerald in mine. My guess is that the mark up on the caps is about the same as the mark up on the juice. I had skipped over the jo Malone but went back to look.. those caps remind me of those hard sugar cake decorations that used to be popular when I was a kid. The kind that will break your teeth off. I could get some beautiful perfumes for $330!